[TREATS 2 BLEEDING WOUNDS] Respond to multiple casualties simultaneously with our most comprehensive DOUBLE bleeding wound trauma first aid kit. 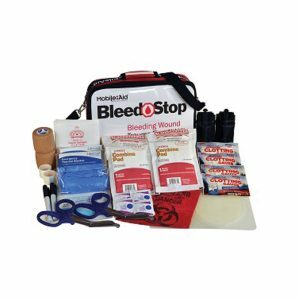 This active shooter/disaster wound kit includes TWO SOFT-W tourniquets, BloodStopper compress bandages, chest seals, and petroleum gauge pads for torso wounds; QuickClot blood clotting gauze and other bleeding wound supplies. 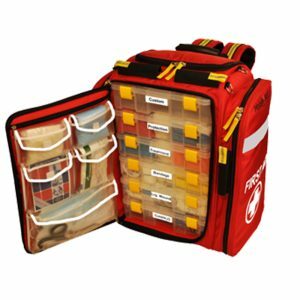 112-piece Emergency First Aid Kit for up to 25 people. 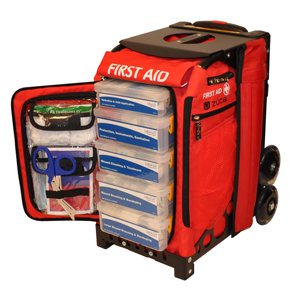 This first aid kit complies with OSHA requirements and meets ANSI Z308.1-1998 specifications.
? Complies with OSHA requirements and meets ANSI Z308.1?1998.
? 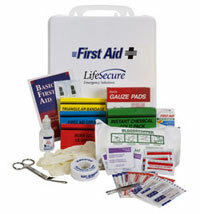 Emergency First Aid Kit for up to 25 people that will handle day?to?day first aid situations.